Another item to cross off my to do list. Got a lot of slack from people when I told them I would be visiting Stonehenge. I mean, it is only a bunch of stones after all. But I feel like this is the equivalent of going to Toronto and not seeing the CN Tower. It is only a tower after all right? So whatever, joined a tour and went to Stonehenge! Okay, so Stonehenge is not really located in the city of London. 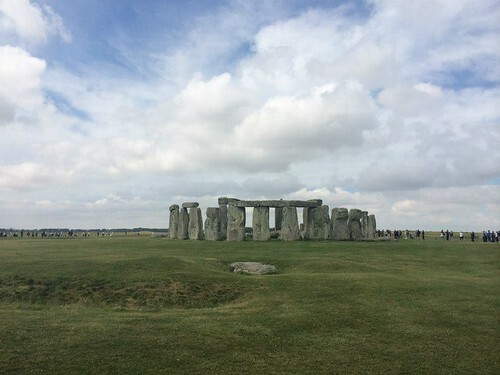 It takes two hours from London to reach the site of the Stonehenge. So join a tour so you that you can sleep. As most of you know, Stonehenge is a prehistoric monument and is a famous world heritage site. There’s still debates as to what the actual purpose of this was, as there was no written records by the people that built it. You may ask how to get there? Well I joined a tour called Premium Tours UK. Paid about 60 pounds, they would pick you up from your hotel and drop you off at the main bus station where you would find your actual tour. The tours usually takes you to Stonehenge and one or two other places. I elected to go with the City of Bath (more on that later). Pretty good experience I must say, so I would recommend this tour company. It is a bit underwhelming when you get to the site. It is what it’s suppose to be. A bunch of standing stones. It was a nice day though, so I walked around the site 3 times. Not bad day. Probably won’t come back to see this though lol.